Biophilia, biophilic design... these are terms that I assume are well-known and anchored in our daily vocabulary, especially in the construction sector. And yet, when I talk to people around me, many of them look at me wide-eyed, having never heard of such a thing, except maybe if they’ve encountered a piece from the 8th Björk album on Fip Radio. So I decided that a little article on the subject might very well be useful to our readers! 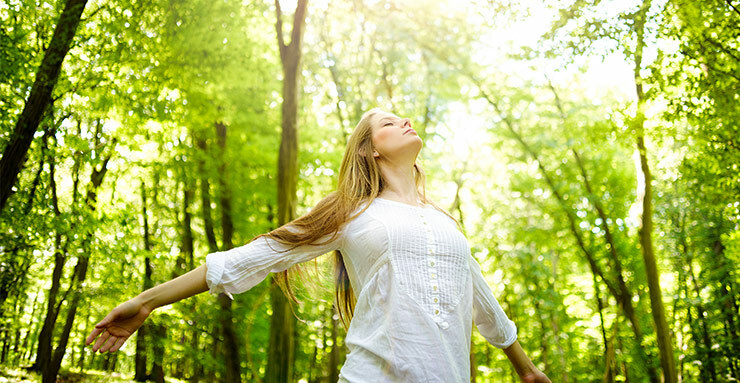 This means that when we are in contact with nature we experience beneficial effects on our mental and physical health. Think about your last walk in nature: didn’t you feel revitalized, relaxed, less tense? In my case, summer having finally made its appearance a few weeks ago in Paris, I’ve spent my last few weekends outdoors, and that has made me feel great! With long walks followed by gourmet picnics in Montsouris Park, strolls along the Seine, daydreaming while gazing up at the Butte Chaumont, etc., I’ve felt myself come back to life! Although the term biophilia has been known for several decades, it has resurfaced in recent years with the revival of interest in comfort and health in buildings. In a society where we spend 90% of our time inside of buildings, our exposure to a natural outdoor environment is obviously very limited. And yet, we’ve just seen above that contact with nature is an almost vital need in order to maintain a healthy existence over time. So how do we make this connection with Mother Nature inside of buildings? That’s the focus of the “biophilic design”: integrating elements into buildings that can directly or indirectly reconnect us with nature. How do the principles listed above translate into practical design strategies? First, through an abundant supply of natural light in buildings. The human eye is best adapted to natural light, in addition to being beneficial to our circadian rhythms. Its dynamic nature through the day and during the year induces variability in terms of intensity, contrast, distribution, and colors in a given space, which stimulates and enhances the wellbeing of the building’s occupants. That said, attention must be paid to controlling direct light penetration and high contrasts, which can interfere with certain activities that require intense concentration. In addition, as we will see in more detail in a subsequent article, temperature variations are also beneficial for personal comfort, because they are more like the natural conditions in the outside world. And since sunlight is also a source of heat, its presence likewise induces variability in the thermal conditions of a given space. However, only slight temperature variations can be permitted, which requires carefully planned control of incoming heat. 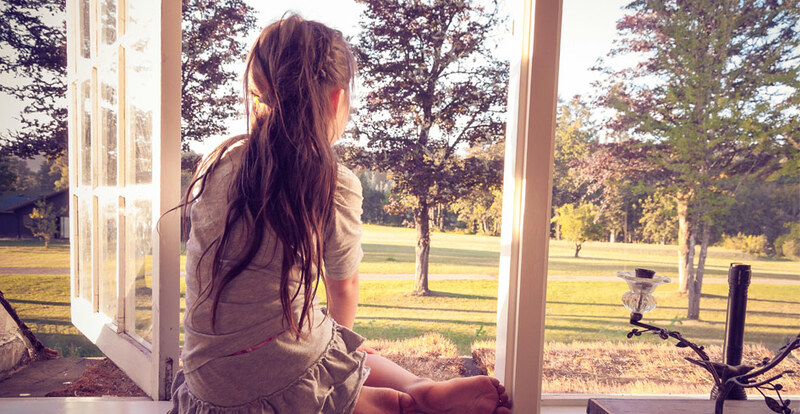 On the other hand, it is also possible to fulfill the above-mentioned biophilic design principles by giving priority to outdoor views through windows. 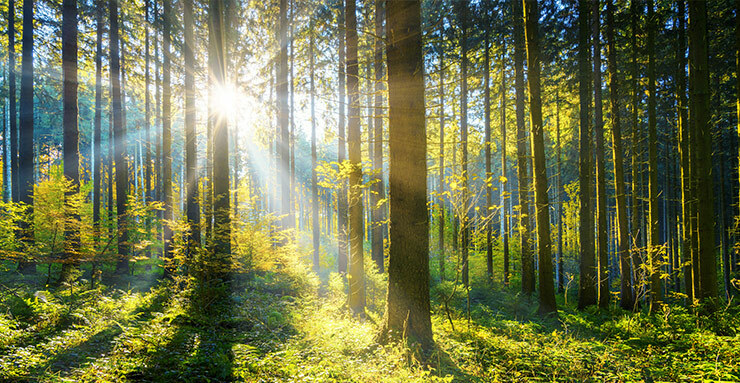 First, this allows for a visual connection with nature, essential in an office environment, for example, to relax eye muscles and limit visual and cognitive fatigue. Access to these views also provides a good connection to natural systems, making us aware of the outside world and its temporal and seasonal changes. This type of awareness is likely to improve our mental and physical health. Finally, such views also fulfill the principles of perspective and refuge. A space with a good perspective, i.e., a view off into the distance like that of an African savannah, is generally perceived as pleasant and reassuring, because it produces a feeling of security and control. For its part, a refuge space instills a feeling of security, withdrawal, and retreat that feels protective, restful, and even curative. Transparent glass surfaces can play the role of a protective but not isolating envelope, offering visual contact with the outdoor environment to allow surveillance, while imparting the feeling of being protected from an otherwise potentially hostile outside environment. Note that these various observations are based on certain specific theories, which we will revisit later in a subsequent article. The positive effects of these elements have been observed in multiple scientific studies conducted worldwide in buildings designed according to these principles, also referenced in the Terrapin Bright Green report. Physical health and wellbeing: muscle relaxation, reduced blood pressure and stress hormone levels (such as cortisol) in the blood. In light of the studies mentioned, there is no longer any doubt that applying biophilics to buildings is a very promising way to design user-centered structures. And the potential financial benefits are contributing to the growing acceptance of this approach.5 New scientific studies continue to be released that justify the interest in biophilic design. 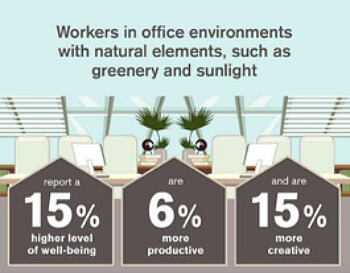 This is the case, for example, with the very ambitious project initiated by the BRE (Building Research Establishment) in the United Kingdom, seeking to use a completely scientific approach to quantify the efficacy of various biophilic design strategies on the health, wellbeing, and productivity of office environment occupants. That said, on my side, I didn’t wait for the study results before setting up Outlook reminders to myself like “water office plants,” “raise blinds,” “schedule next walk in the woods,” etc., to maximize the benefits of getting back to nature. 2 Hansen MM, Jones R, Tocchini K, Shinrin-Yoku (Forest Bathing) and Nature Therapy: A State-of-the-Art Review. Int J Environ Res Public Health. 2017 Jul 28;14(8). 3 Frumkin H, Bratman GN, Breslow SJ, Cochran B, Jr PHK, Lawler JJ, Levin PS, Tandon PS, Varanasi U, Wolf KL, et al. Nature Contact and Human Health: A Research Agenda. Environmental Health Perspectives [Internet]. 2017;125 (7). 4 Browning, W.D., Ryan, C.O., Clancy, J.O. (2014). 14 Patterns of Biophilic Design. New York: Terrapin Bright Green LLC (2016).